2017 sofi™ Award Winner- Salsa/Dips Category!- “Specialty Outstanding Food Innovation” Award from the Specialty Food Association. Dill Dip Mix Unmatched in its flavor, this blend of spices produces a delicious dill dip that works extremely well with fresh vegetables or chips. Some of CJ’s customers also use the dip as an unbelievable accompaniment to grilled salmon. Hot off the grill, imagine a filet of salmon on a bed of spinach or rice with the dill dip drizzled over to enhance its’ flavor. Once you taste it, you can’t stop dipping! Each Packet makes 4 cups of Dill Dip. CJ’s Organic Dill Dip Mix. A Spice/Herb Blend that’s gently blended using 10 different USDA Organic and Certified Gluten-Free Herbs and Spices by GFCO. Simply mix this packet to mayo and/or sour cream or Greek yogurt. Each packet creates 4 cups of delicious dip, making it perfect for parties or a late night indulgence! Try one of our simple dill dip recipes below. This extremely versatile dill spice-blend mix pairs exceptionally well with chips or dipping vegetables. The following fresh vegetables- Cucumbers, carrots, broccoli, cauliflower, celery, radishes, bell peppers, cherry tomatoes are easy to prepare. These fresh vegetables paired with fresh dill dip creates an amazing fresh party tray that will have your guests wanting the recipe! However, one can be creative by combining a large dollop of dill dip with sautéed spinach, mushrooms, and onions for an incredibly delicious, creamy side dish atop a grilled steak. For more yummy, empty entire packet into a small container and shake well, then divide the spice mixture in half and put one half into a 1/3 cup of olive oil to brush on the salmon filet. Once salmon filet cooked, apply a tablespoon from the 2 cups of prepared dill dip made from the other half of spice mixture. Let the applied dill dip melt over the top of the salmon filet for a flavor that you’ll never forget and will tell others about! Try CJ’s Organic Dill Dip Mix with the following mediums: sour cream, plain Greek yogurt, cream cheese, cottage cheese or add a packet to buttermilk to create a fresh Ranch Dressing. 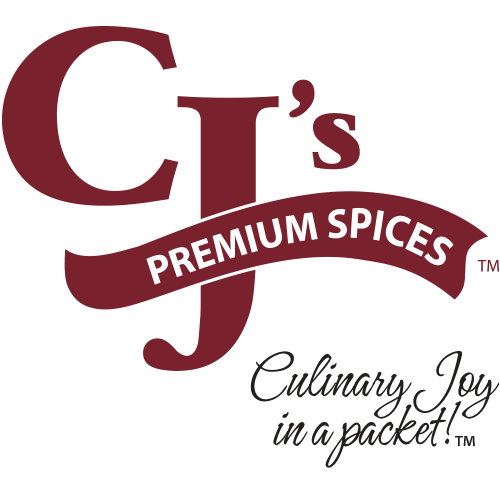 You decide your dietary needs, CJ’s provides the healthy spice blends to create your fabulous dish. Try any of our recipes, then experiment and share your own recipes with all of the Facebook fans of CJ’s. This stuff is that good!